Vulcanization is the process for transforming natural rubber into a cured, more durable rubber. It will become less sticky and since the rubber normally melts slightly in the controlled vulcanization process, making it bond with surrounding materials. This replaces cement (glue) to a large extent. This is a great feature for footwear which has been used for long time. Vulcanization is mainly used sneaker production but a big variety of shoes can be produced with this technique. Rubber can be vulcanized in many ways, using different chemicals, normally a sulfur mix, or by a combination of heat and chemicals. This curing process transforms the rubber from being easy to break, soft and gummy to a durable yet flexible material suitable for demanding conditions such as footwear or car tires. In the footwear industry the most common way to vulcanize is by heat and chemicals. The rubber need to reach a temperature of 170 degrees to vulcanize properly. This temperature creates limitations in what kind of materials should be considered for a vulcanized shoe. Polymer based fabrics such as polyester, poly-amide or plastic eyelets etc pose big risk of melting in the process. However, there are also heat resistant polymer based materials suitable for vulcanization. Due to the temperature the lasts used for vulcanized production is made out of aluminium to sustain the heat but also to spread it evenly throughout the product. Aluminium last used in vulcanized footwear production. The lasting method is normally board lasting where the upper is assembled in the same way as for a cementing construction but dressed around an aluminium last. The bottom outsole is either calendar or molded and then a foxing tape is wrapped around the connection of the outsole and the upper to hide the gap. Calendar soles are made by running a continuous sheet of uncured rubber through a dual-roller press. The top roller is etched with a tread pattern while the bottom roller is smooth. Once pressed, the soles are cut to shape by either a cutting die or by hand. The uncured soles are then applied to the upper boot and vulcanized together to form a seamless permanent chemical & physical bond. After the foxing tape is added the shoe is trimmed and cleaned, removing any dirt from previous processes and making sure that the shoe is clean. Depending on design it can have different shapes and thickness but will always be in the form of a tape. The shape is acquired by pressing rubber through a mold, different colors can be achieved by multiple material sources, each with a different color. The foxing is processed as an endless tape and then cut into desired length for later attachment. Foxing tape for sneaker production being extruded. Vulcanization ovens, also known as autoclave, for footwear and a tray of sneakers to be vulcanized. Full process of vulcanized board lasted sneakers cured in autoclave. Finalized vulcanized shoe. 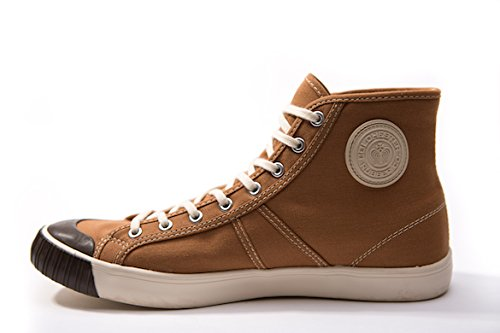 In this case a Jack Purcell style from Converse in canvas. Normally the term vulcanized within the footwear industry refers to the autoclave method. There are however other ways to cure rubber and technically also outputs vulcanized shoes. It can be both prepared. A traditional method of vulcanization often used in Spain. There are also other processes of using a vulcanization process to create footwear. One is a traditional method commonly used in Spain. Uncured rubber granulates are put into a heated mold (picture). The upper is prepared and lasted, then put with pressure into the mold. 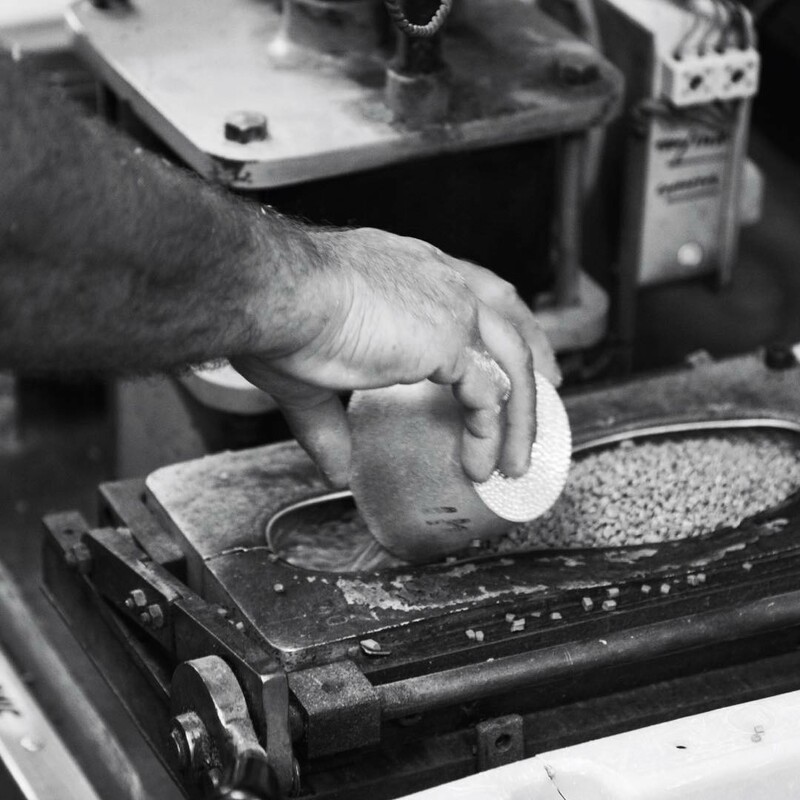 Together with the melting of the rubber it´s creating the outsole shape from the outsole mold. One kind of slipper created with the Spanish traditional vulcanization process. Another kind of vulcanization process. There are proofs of rubber beeing vulcanized as early as 1600bc by the Mesopotamians. On the other side of the world there are also traces of rubber beeing an important part of life. In what today is known as Mexico a vilization called Olmec in Nahuatl (Aztec language) flourished from 1400bc. Olmec is directly translating to “rubber people”. 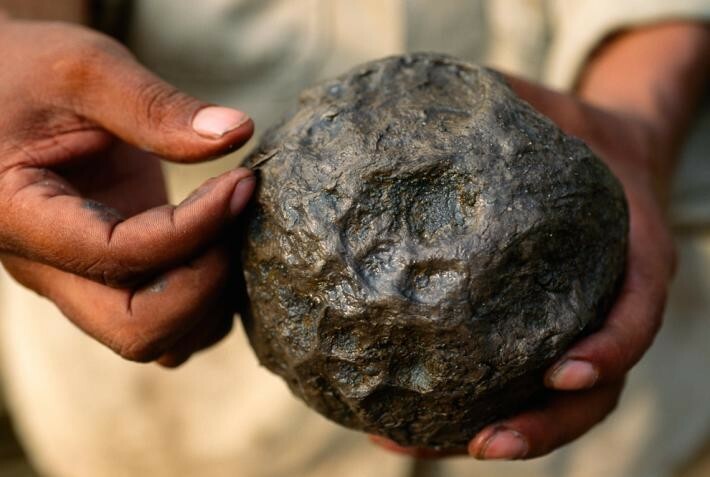 A latex ball made by the Olmecs in what is now Mexico. 1892 Colchester Rubber Co. design. Colchester Rubber Co. is the predecessor of the brand Keds which was founded 1916 and continued the tradition of making vulcanized shoes. In the beginning of the 20th century other brands started to pop up such as Converse, founded 1908.